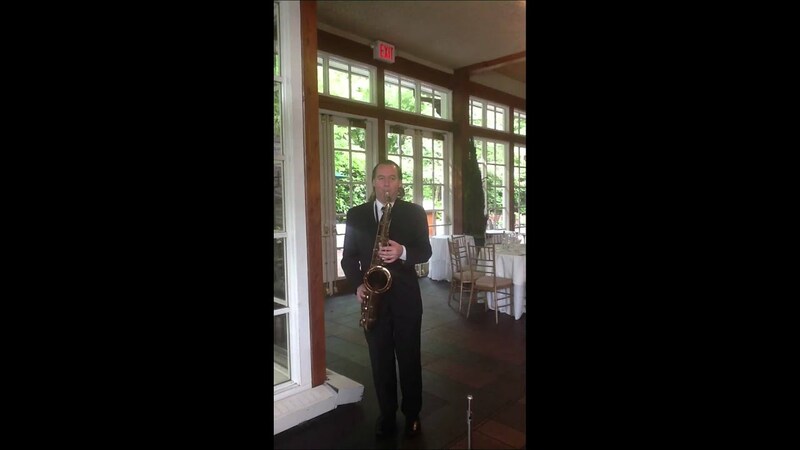 Saxophone player in NYC - providing beautiful music for your special occasion. Happy to play your requests. Plays all the saxes, clarinet, flute and piccolo. Whether it is solo sax playing acoustically, or along with backing tracks and happy to provide additional musicians up to a 6 piece band. 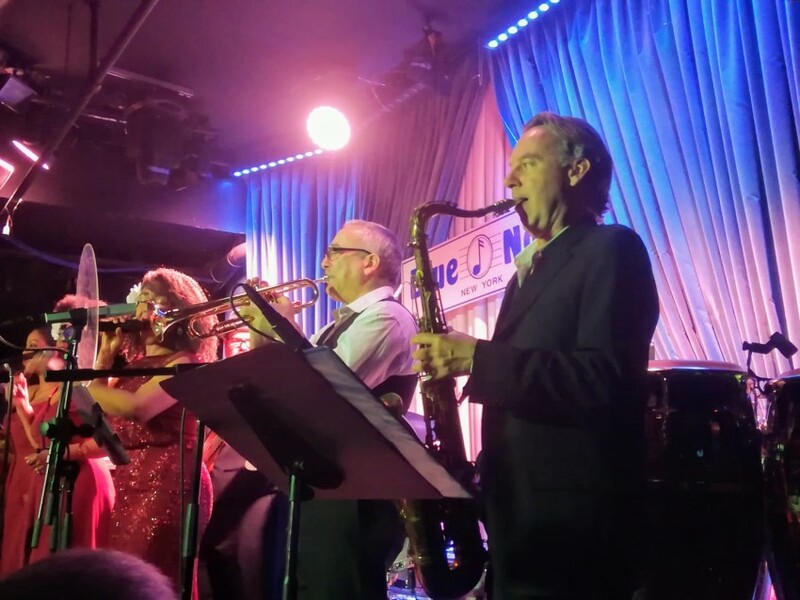 Performing credits include Dr. John, Ben Vereen, Charo; playing in the house band at BB King's on 42nd st and a regular in the jazz clubs of New York City. Excellent soloist, section player, sight reader, music director, arranger and composer. Michael provided the background music to a Mardi Gras party at Princeton University. His Saxophone filled the hall and was the perfect compliment to the evening. He is very talented, prompt and his musicianship is top notch. Would highly recommend! Michael played at our Valentine's party at our home this weekend and was just wonderful. He communicated in advance about the details, arrived early to promptly play and was an excellent musician. Best of all, Mike played exactly the kind of peppy and sultry sax with background music I was hoping for to get people dancing, and dancing they did! I highly recommend Michael and hope to have him again to our home. Mike was very professional. He arrived before time, introduced himself. He understood the concept of the event, and most of all, played beautifully. 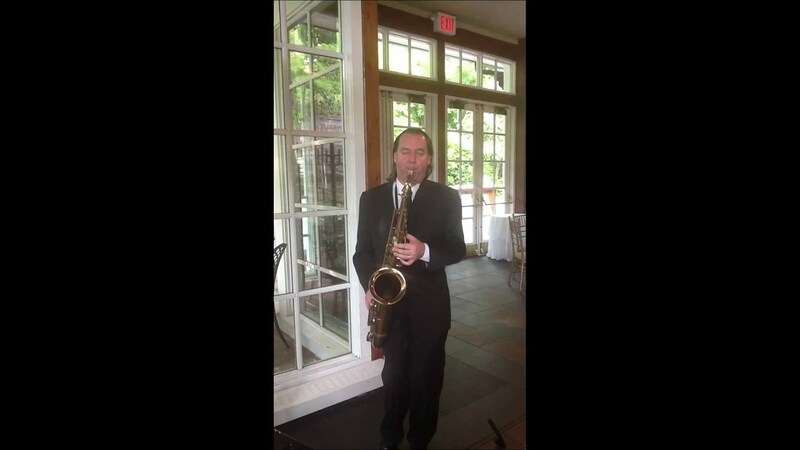 Great sax player at our wedding! Michael was great! Showed up right on time and did an amazing job at our wedding! Very easy to deal with during the planning and very responsive. We provided a list of songs for him to play and he nailed all of them. Very accommodating working with our DJ too. Highly recommend. Mike is one of a kind!!! knows exactly what to play for the occasion!! His talent is amazing, I will definitely be recommending him! In fact the folks at the party was asking for his card!! Thank You Michael!!! There is no category below to describe Mike!! Michael is an excellent artist and a very professional person. I fully recommend him. I am a wedding planner and he played sax during the ceremony of a wedding. He really did a great job! I would love to work with him agaim because he did a perfect job! Michael did an outstanding job. He was very professional and kind. He helped make our anniversary memorable! Michael was a showstopper! His work was second to none! I’d recommend him to anyone. We’re liking forward to having him again for future events. Michael did a phenomenal job at our dinner party! Whoooaaa..AMAZING JOB!! MICHAEL IS THE BEST!!! Michael did such an amazing job at our wedding. He arrived much earlier than the start time and rehearsed and provided great background music as our guests started arriving. We contribute alot of the successful outcome to Michael. He is easily reachable as we communicated over the phone and emails over a dozen times as I was a little nervous. He was very assuring and provided feedback and suggestions which we followed and everything turned out great. We asked Michael to learn songs that we wanted to include and also a special to song in chinese and he played it well. My mom enjoyed it so much that she cried ss i found it it was her favorite aong as well as my bride. That meant the world to me because they were both so happy. Everyone complimented us on the music. I would recommend him in a Heartbeat and when we renew our vows Michael will be our first call! Michael, I hope you are reading this because you really rock! Thank you so very very much! A great man & a A even better Musician! Michael has 5 star service .He was punctual the day of the event and kept the lines of communication open prior to the booked session as well .He plays the sax masterfully and is extremely responsive to direction .He was receptive and patient while we were recording .He has by far the best pricing on the sight for Sax and flute .Truly a pleasure to work with and I highly recommend him ! What a client unexpected request for additional time Michael was able to accommodate with little notice. He was on time and played wonderfully. Michael was a pleasure to work with. Total professional, on time and smooth sound. I come from a musical family; my mother played piano and my stepfather was a doctor who played clarinet as a hobby. My older brother was already studying piano and clarinet at an early age, so some of my earliest recollections are listening to my mother and brother's piano lessons and then taking lessons myself, so I learned quickly and by the time I was in school, I already had some tunes under my fingers! Since we had two pianos, my brother and I were able to play two piano duets, piano concertos, and early on we also began lessons on organ. As a Christmas gift in third grade, my father bought me a new instrument and I still get the feeling of exhilaration today from the saxophone as I did when I opened up the case and saw the horn for the first time. A product of the renowned music program at Interlochen, Michigan, I attended summer sessions from third grade up until high school. The basic routine was, private lessons on piano, organ and saxophone, music theory classes and practice time in the morning; playing in orchestras, symphonic wind ensembles and jazz ensembles in the afternoon. During the evenings, if you weren't playing in a recital or a concert, you were either attending a classmate's or going to the other art, dance and drama functions around campus. I began to learn the basic fundamentals of saxophone from lessons with Lynn Klock at Interlochen, and locally in Cleveland with two fine teachers, Vince Pattie and Robert Pattie. My eyes and ears were opened by going through my stepfather's extensive record collection, (Charlie Parker, Duke Ellington, Miles Davis and many more) as well as listening to what the contemporary saxophonists of the 1970's, 80's and 90's were playing. I studied with Al Blaser from the Cleveland Orchestra and continued during the school year playing recitals with the National Federation of Music Clubs, competitions with the Ohio Music Educators' Association, auditioned to play Schumann's Piano Concerto in A minor with the Cleveland Orchestra at age fourteen and in high school, made All-State band. 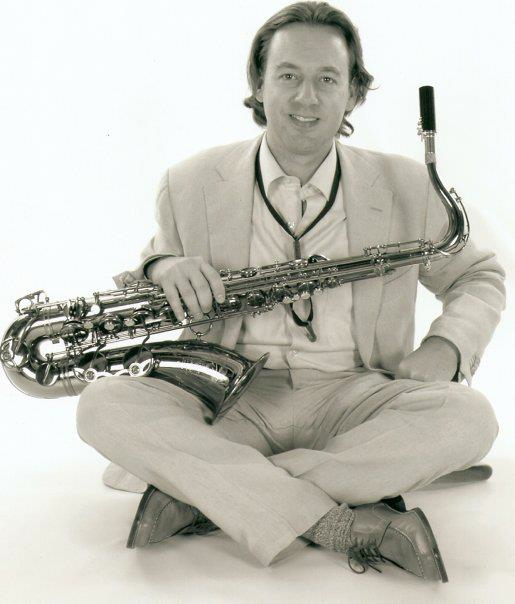 Having received some recognition and awards from these institutions and also being selected as an outstanding soloist by National Association of Jazz Educators, I decided to attend the University of Miami and earned a degree in Studio Music and Jazz Saxophone Performance, where I studied with Gary Campbell and Gary Keller, among others. During this era I was fortunate to garner student awards from Downbeat magazine for performances with the University of Miami Avant Garde ensemble and the University of Miami Studio Jazz band. My studies focused on the music of Sonny Rollins, John Coltrane, Joe Henderson and Wayne Shorter. In South Florida, I was picked up to join a band backing up the great pianist, Dr. John on tour and upon graduation I gradually worked more in the entertainment aspect of the music field, doing club dates and backing shows behind the likes of Domenick Allen, Susan Anton, Charo, John Davidson, Phyllis Diller, Lorna Luft, the Platters, the Pointer Sisters, Scott Record, and Ben Vereen. I also worked in the Catskill Mountains and as a Musical Director for a major cruise line company, where I played in, arranged for, and conducted a 9-piece orchestra; scheduling live music and managing 25 musicians onboard of different nationalities. This experience took me all around the world performing a wide variety of music. Currently I reside and work in New York city.